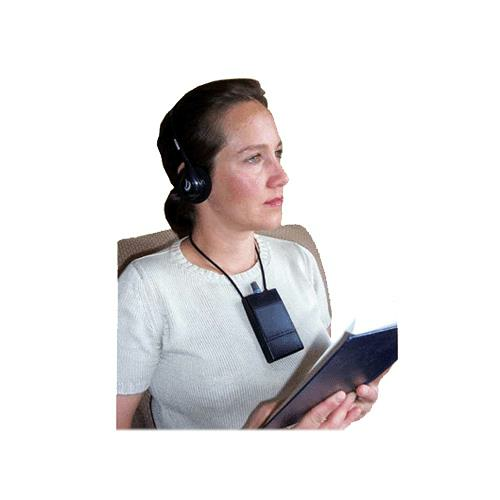 Oval Induction Loop Receiver is compatible with all induction loop assistive listening sytems. 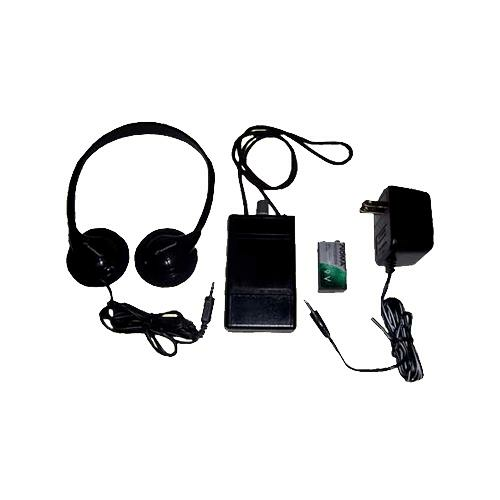 It is designed for use by hard of hearing people who do not have T-telecoil-equipped hearing aids, it provides high quality amplification of sound transmitted by induction loop systems. 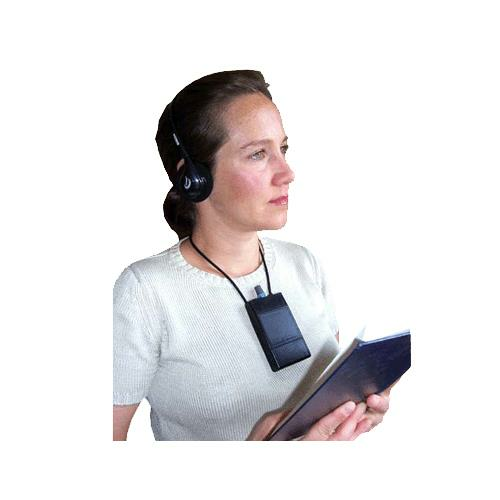 The receiver provides visual as well as auditory confirmation of system performance for facility managers and system installers. - The receiver has been loaded with a 9 volt alkaline battery and has passed quality control testing. To change the battery, carefully slide open the battery compartment door and lift out the battery. Following the illustration in the battery compartment, insert the new battery. For best performance, always use alkaline batteries. - Plug headphones into the jack at the top of the receiver. - Place headphones over both ears. - Slowly turn the volume control until it clicks on. - The receivers LED indicator will illuminate briefly when the unit is first turned on. This confirms that the battery is good. To maximize battery life, always turn off the receiver when it is not in use. - Adjust volume control to a comfortable sound level. For best reception, most induction loop systems will require a more or less vertical/upright receiver orientation. - The receivers LED also provides a visual confirmation of the loop signal. Proper induction loop signal strength (averaging 100mA/meter) as per international standards will illuminate the LED when measured at the center of the loop at a height of approximately 39". The receiver must be positioned in a vertical/upright position when testing floor/wall/ceiling mounted loop systems. - The receiver should be switched off and the NiMH battery properly inserted. - Charge the receiver by inserting the charger plug into the receivers earphone jack located at the top of the unit. Prior to using for the first time the battery should be left on charge for at least 12 hours. - Charge after every use. The NiMH batteries will perform better and have a longer life if they are used daily and charged daily, usually overnight. - During lengthy breaks in use (extended holidays, etc), fully charge the battery and remove it from the receiver. Place in a dry storage space. Do not leave on charge for extended periods (7 or more days). - Note: The receiver must be loaded with the optional nickel metal hydride (NiMH) rechargeable battery and only the OWA designated charge must be used as directed below. - To clean the ear buds or headphones, lightly dampen a paper towel with isopropyl alcohol and wipe the cushions, headband and plug. - Allow to dry before using. - Headphone cushions may be removed for washing with mild dish detergent. - Replacement cushions may be ordered.